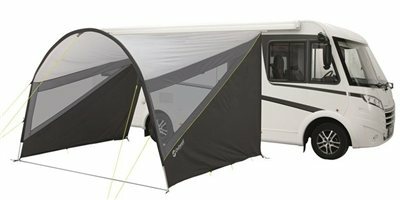 Get more protection from sun, wind and rain with the Touring Canopy range from Outwell. The L and XL models feature larger side panels to keep the elements at bay and come with adjustment wedges, so you can alter the height to fit your vehicle. This makes it a great choice for most campervans, boxcars, motorhomes and caravans. Full standing height ceilings, tough, durable materials and double guylines add to the appeal.